Canon Australia is part of the International Canon Corporation. Canon is best known for its market leading Camera’s but is also a market leader in audio visual technologies, medical, document management & print. Canon employs more than 1000 people in Australia. Snack Brands Australia is a young, 100% Australian owned and operated company that in mid 2008 acquired some of Australia’s iconic snackfood brands such as Thins, Samboy, CC’s, French Fries, Cheezels and more. – Greater capacity in terms of the level of disk space. Maritime, Mining, & Power Credit Union (MMPCU) is a fast growing member-owned financial cooperative that has been operating since the 1970’s. Today MMPCU look after more than 34,000 members, 150 employees, and over $700 million in assets. Industry Fund Services (IFS) is Australia’s leading provider of financial planning services, products and advice to 30+ Australian super industry funds and their members. – IT infrastructure costs have been significantly reduced. 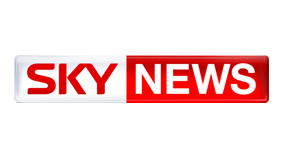 Sky News delivers video news 24 hours a day to more than 2.5 million homes and locations. They operate via Foxtel, Optus and Neighbourhood Cable pay TV networks in Australia and the Sky Pay TV network in New Zealand. Sky News was using a virtual private network over standard public Internet services to enable the bureaus to connect to head office. This system did not provide sufficient bandwidth to enable video content to be uploaded from the bureaus, additionally and there was no redundancy in the access network. Plenary Group is a independent long-term investor, developer and operator of public infrastructure. They are one of the world’s leading international infrastructure companies with a large, experienced management teams located in the Americas and the Asia Pacific region. Yamaha Motor Australia (YMA) is a wholly owned recreational vehicle and industrial product subsidiary of the Yamaha Corporation – a large Japanese conglomerate with more than $40 billion in annual sales, and over 20,000 global employees.